If you are a new customer and you would like to buy products, please contact us to speak to a representative. Login to see pricing, order products, check order history and update your details. Please enter the email address and password associated with your account. Email Address: Password: Forgotten Password? Remember me? Lets have a proper brew! 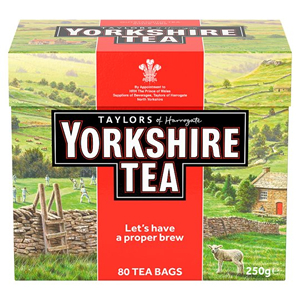 Yorkshire Tea is a family business, founded in 1886 and based in the Yorkshire town of Harrogate. Over the years they've developed a wide array of blends which are designed to complement certain times of the day and even your location. 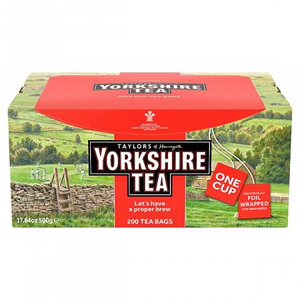 At Zepbrook we sell both standalone and tagged tea bags from Yorkshire Tea in denominations from 200 to 1200 bags, perfect for offices of any size. 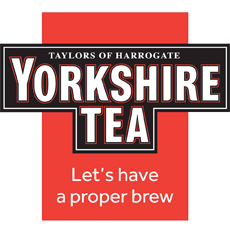 Get your Yorkshire Tea from Zepbrook tomorrow: order before 5pm if you're in London (or the M25 area). 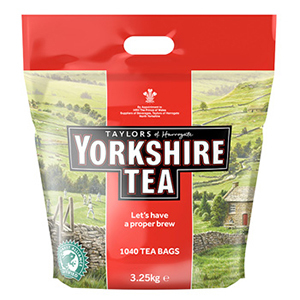 Do you need tea bags that are not currently listed on our website? Contact us - we can source and deliver many other products for a competitive price. Call us now on 020 8752 0110 or enquire online. 10% OFF your first order - quote "newbie offer"
Pure and simple tea with a refreshing flavour, strength and colour using top quality Assam and African teas, blended together using a secret recipe to create a satisfying traditional brew. Individually enveloped and tagged tea bags. Please complete fields marked with an * asterisk. Please tick to confirm you wish to receive email marketing messages from us. Pure and simple tea with a refreshing flavour, strength and colour using top quality Assam and African teas, blended together using a secret recipe to create a satisfying traditional brew. Copyright © 1982 - 2019 Zepbrook Limited. All rights reserved. E&OE. Zepbrook Limited: 26 Westwood Park, Concord Road, London, W3 0TH – Serving London and the UK.